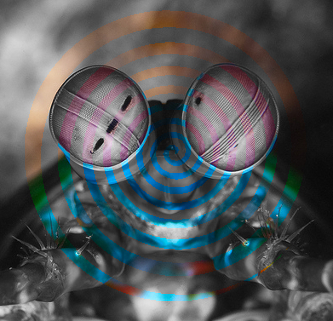 Dr Yakir Gagnon – from the University of Queensland’s Brain Institute’s (QBI) - has built on a previous study that found the mantis shrimp (Gonodactylaceus falcatus) can reflect and detect circular polarising light. QBI’s Professor Justin Marshall, who heads the Australian part of the polarisation team, says it is more common for animals to communicate with colour. The studies are available in the journal Current Biology.